Surprisingly, this is my first Nightmare on Elm Street movie. From what Markus tells me, this is one of the better films in the franchise, and for those of you that don’t know the lore of Freddy Krueger, I’ll break it down real easy for you. When he was alive, Freddy Krueger was a child murderer and was burned alive by an angry mob of parents who live on Elm Street. They thought that would be the end of Freddy, but in reality it was only the beginning of the nightmare. Freddy becomes a sort of dream demon and begins killing all the children of the Elm Street parents (who burned him alive) in their sleep. 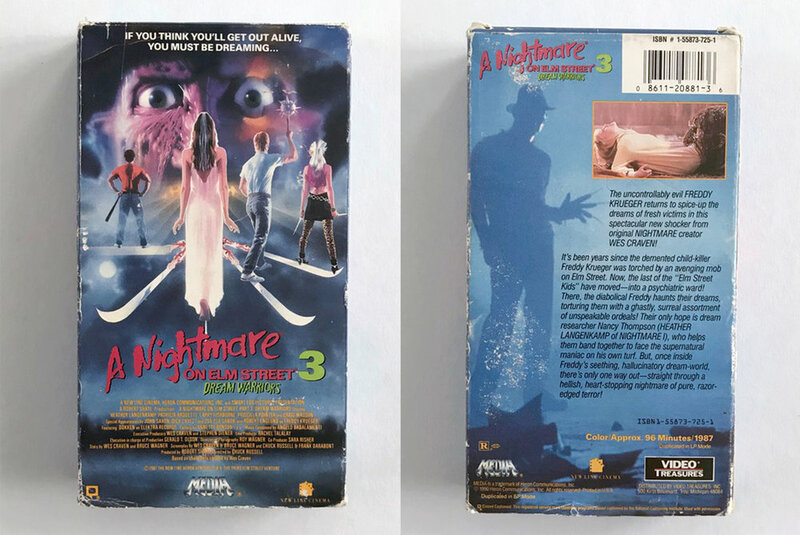 This movie picks up the story line from the original Elm Street by reintroducing Nancy, the main protagonist from the first film, who is now on a mission to finally put an end to Freddy’s rein of terror. Dream Warriors is an interesting movie. I wouldn’t say it’s great but I wouldn’t say it’s awful either. I liked finally seeing Freddy Krueger in action, and there were some really creative death scenes. I also enjoyed how Freddy would take something from your life and twist it into something macabre, just like a true nightmare. He’s definitely a creep, but not as scary as people made him out to be. The scene with his bones being reanimated was a little much and felt very out of place. I mean, how does Freddy even know how to reanimate his bones? And how does he even know where they’re located? I do think that if I watched this movie in the 80s I would’ve been terrified. I mean a guy who can literally murder you in your dreams? That’s pretty clever. Strangely enough, this movie made me want to watch more in the Elm St. series. Of all the films on this year’s list, this was the film I was anticipating the most. If you know me, the reason is quite obvious and takes upon the form of the beautiful human, David Bowie. 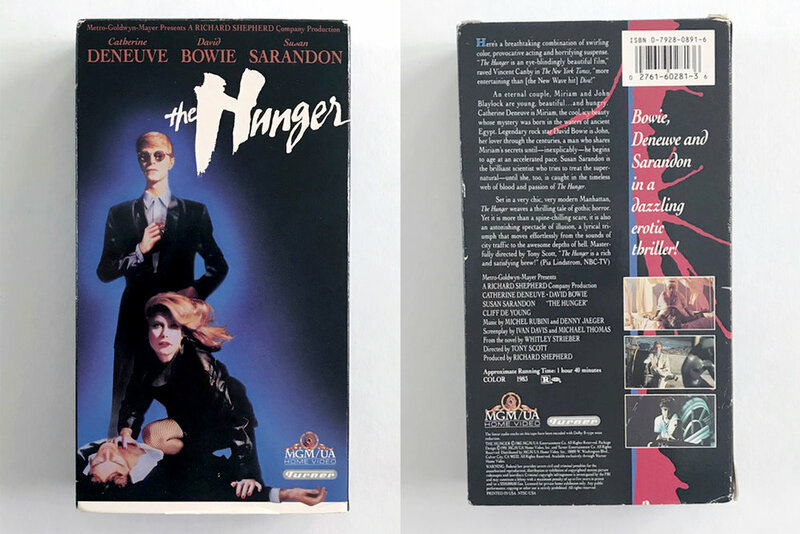 Prior to this year, I never heard of this movie, which seems strange for me since it has ALL the things I like: Bowie, vampires, tragedy and 80s music. It’s like The Hunger was made for me. The film follows an extremely attractive vampire couple, Bowie and Catherine Deneuve as well as a doctor played by Susan Sarandon. At first I thought the film was going to be similar to the 2013 film Only Lovers Left Alive, and boy was I wrong. So I think that my rating of “so good” is somewhat skewed by a couple things. One being my absolute blind love of Bowie and how extremely attractive he is in the first half of the movie. The other thing is that the first 20 minutes and the last 20 minutes are pretty great. It’s just the in-between that’s mediocre. The pacing is slow and it’s a bit to arthouse for me. Also the director shoots in a very interesting way where the camera is always close to the actors’ faces. It gives off this weird sense of awkwardness, of course that might have been the director’s intention. The cast is pretty great in this, and the makeup and special effects are truly amazing. I mean, they managed to make Bowie unrecognizable, which is hard especially with his unique eyes. The climax and conclusion of the film piqued my interest again, so I felt comfortable enough giving it a tentative “so good,” but with a warning that it might not be for everyone. As long as I’ve been with Markus, he’s been talking about this movie. I’ve been able to hold out on watching this movie for the past 15 years, but this year was definitely my reckoning. I mean, I’m a huge Jeff Goldblum fan, but even he couldn’t convince me to watch this movie sooner than this year. The Fly was directed by, the brilliant yet disturbing, David Cronenberg — who also directed Scanners and The Brood. I’ve covered both of those films in previous years of Creepy Cinema, and found both to be a little unnerving. And as I expected, this movie was far more than unnerving than the aforementioned films. It was down right nightmarish for me. I knew that there was going to be some gore and body horror in this film, but still nothing could prepare me for what it actually was. I found The Fly to be somewhat deceptive because the first half appears to be standard 80s horror movie affair. Nothing too awful, just a boy and girl who find themselves drawn to each other, and then an inciting action begins that throws them down a nightmarish path. The film follows excentric scientist, Seth Brundle (Jeff Gloldblum), who performs a series of teleportation experiments. He begins with teleporting inanimate objects from one booth to another. Soon he repeats the experiment with animals and eventually moves on to himself — which was probably the worst idea ever. I will say that the special effects makeup is incredibly well done and strikingly believable. There were a few times where I literally felt a bit nauseous and had to look away. Overall this film is actually great! The acting is top notch, the special effects and makeup are incredible and the story is compelling. It’s just that the body horror was WAY too over the top for me. I can’t envision a scenario where I would willingly rewatch The Fly, but for those of you that like that sort of thing, I recommend this movie. For those that are squeamish, at least give it a try — but then stay far-far away!